Thus far, we have worked only with single-digit numbers with the exception of the Master numbers and the Karmic Debt numbers. Now, let's look at the numbers 10 and up. The 7, for instance, can be based on 16, 25, 34, 43, 52, 61, 70, 79, 88, and 97. Although they all reduce to 7, each changes the personality of the 7 to some extent. In some cases, the changes are quite dramatic, such as when the double-digit number is a Master number or a Karmic Debt number. When a single-digit number is based on a double-digit number, it’s a good habit to include it in the numerology chart. If a 7 is based on 25, write 25/7, if it’s based on 34 write 34/7. A double-digit number's characteristics are dominated by that of the single-digit to which it reduces. The double-digit number highlights certain aspects and diminishes others, but it never eliminates any aspect completely. For example, a 7 based on 25 is not as withdrawn as a 7 based on a 16, while a 7 based on 34 is more creative than other 7s. As a rule, numbers that are dividable by 10 strengthen the characteristics of the single-digit number across the board. ; 10 is a high octave 1; 40 is a high octave 4; 70 is a high octave 7. It enhances all the qualities of the 1. It is a powerful leader, sharply focused ,and streamlined for success. It can be ruthless in the pursuit of its goals. It can become a dominating tyrant. See "The Master numbers." 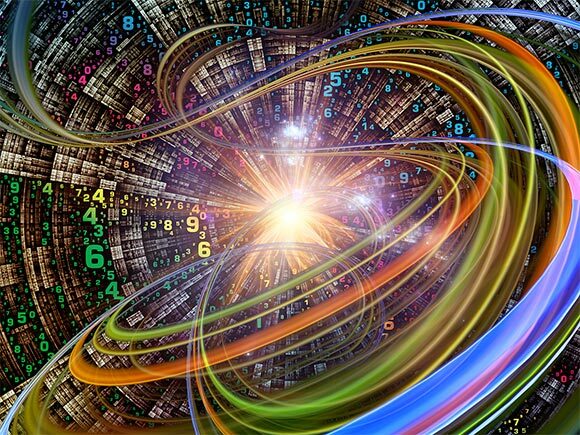 Highly intuitive, even psychic, this Master number is a channel between the sub-conscious and the conscious mind. Highly charged. Can be neurotic. It is highly creative, individualistic, and unconventional. It relies on the self as opposed to a group. Can be selfish and is almost always a little irresponsible. Not good at managing time. Inefficient. See "The Karmic Debt numbers." Hard work and slow progress, this Karmic Debt number is difficult but rewarding when enough effort is applied. Grounded and down-to-earth. Reliable, trustworthy, but sometimes rigid and, while lacking a sense of humor, actually better at expressing ideas and feelings than most 4s. See " Karmic Debt numbers." Impulse and a need for change and adventure can get in the way of carefully planned progress. Lack of focus and commitment. This Karmic Debt number can get you in trouble unless discipline is exercised consciously. All 5s need to guard against self-indulgence, but when based on 14, there’s a selfish side that amplifies a lack of self-control. It is loving, forgiving, and extremely tolerant. It is responsible, successful, dynamic, and strong. It is less constraints than other 6s and tends to enjoy travel and adventure. While family-oriented and loyal to a fault, it is also more private and unconventional. See " Karmic Debt numbers." Difficult, especially during the early part of life. Great potential for spiritual growth and self-knowledge. This Karmic Debt numbers reflects "The Fallen Tower" in Tarot. Can be self-destructive, but also represents Phoenix rising from the ashes. The most influential of all Karmic numbers, with age it brings wisdom through hardship. It is spiritual growth, faith, and balance. It is also wealth or bankruptcy. It is an inner struggle to remain true to spiritual and moral values, while at the same time dedicating itself to the material world – one of the most conflicting numbers. It is involved with business on an international scale, and it is a discordance between idealism and selfishness. There is a lack of conscious spiritual effort. If the 18 is prominent in your chart, reading and travel will be very beneficial. See "The Karmic Debt numbers." Strong and individualistic, self-reliant and confident; this Karmic Debt number can bring loneliness and alienation due to a lack of support from others. Leadership qualities, but sometimes bullish. Overly sensitive, intuitive, and vulnerable to criticism. It has emotional problems and can be unstable. It can show weakness and cowardice in the face of challenges but is also highly resilient and a survivor. Similar to 12 - creative, individualistic, and unconventional. It relies on the self and is a little irresponsible. Not good at managing time, inefficient. 3 Based on 21, however, is more intuitive, sensitive, and cooperative; plays better with others. See "The Master numbers." The Master Builder; this Master number is demanding and obsessive, it can push you to the edge. Much progress is possible. A need to devote yourself to something larger than life. It loves people and is a freedom fighter, a promoter of causes, but also a quitter, and often unrealistic. More creative than other 5s. The 6 based on 24 counsels and comforts others, likes music and often plays an instrument (percussion is a favorite). It represents domestic struggles and divorce, needs a solid, stable environment. Can be a bit gossipy. It is spiritual leadership. It likes group endeavors (as opposed to most other 7s). It can be too serious and has difficulty sharing feelings. Has a restless streak and can be self-indulgent. It is excellent in business and management, a good strategist and works well with others. Often a workaholic. Can be the exact opposite in personal life: disorganized, lazy, excessively domineering parent. It is a counselor, a volunteer, and an artist, and is often successful. This number represents inheritance or other “unearned” and sometimes unexpected income. While the 9 is the least prejudiced or judgmental number, the 27 can be rigid and narrow-minded. It is a 10, but with more compassion and tolerance, as well as considerably more ambition and determination. A warrior’s number. It is the same as 11. See "The Master Numbers." More serious, less social, and can tend to become cynical. It is communication and creativity. It is a high octave 3. It has a great sense of humor, is jovial and warm, but also a bit superficial. Easily distracted, lacks staying power. It is more extrovert and fun-loving than other 4s. It is also more creative. It can be unfaithful. See 23 (Freedom fighter, promoter of causes, but also a quitter, and often unrealistic.) The 32 is more sensitive, moodier, and has trouble committing to anything, including relationships. See "The Master numbers." Capable of reaching a high level of consciousness and wisdom, its ultimate potential is in teaching teachers. It comforts others, represents self-sacrifice, and is an idealist. When not living up to its potential, it’s co-dependent, tends to bend the truth, and is arrogant. It is highly intelligent, can attain spiritual greatness, and is capable of great effort for long periods of time. An intellectual warrior who enjoys getting off the beaten path and upsetting the status quo. Can be prideful and stubborn. It is creative in business, an inventor, gadget-designer, or business adviser. It is social but does not work well with others; too independent, better off as a freelancer. It is very creative, sometimes a genius. It is also self-conscious, inhibited, and aloof. In spite of the 3 as its first digit, it has difficulty expressing thoughts and feelings; makes up for it with visual art or math (statistics, engineering). It is very individualistic, a scholar, a voracious reader, has an excellent imagination but is often disorganized. See 11. It is more realistic but can be a stick in the mud. Excellent in business but not very good at working with people; easily offended and a bit insecure. It likes functional art. It is often in acting and dancing. It has difficulty with rejection and separation. It is a high octave 4, extremely organized, systematic, and methodical. High probability of success in most endeavors but has to guard against get-rich-quick schemes. It can be overly critical of others, intolerant, and sometimes judgmental. It is capable of directing energies to many different projects successfully. Can be impulsive and needs to guard against self-indulgence. A negative 41 is selfish, has a lack of humor, and can turn to criminal activities. Political aspirations. Can be an administrator, often in government institutions. It can be insensitive, though, and needs a stable, predictable environment. OCD or phobias are possible. Often highly spiritual, sometimes eccentric. A hermit’s number. It also represents concentration, perfectionism, and sometimes frustrations and feelings of inferiority. Intelligent with a tendency to push conspiracy theories or otherwise upset the status quo. Can be stubborn and cynical. It is an excellent number for business and is also good for a military career. It is a visionary and a doer. It has great potential. A negative 44 can be boring and inflexible. It is often involved in banking or international institutions. It struggles to be comfortable with itself. Can be cynical. Leadership, drive, and perseverance. It is always well prepared and confident. Trustworthy, but often tactless and rude. Can be a bully. See 11, "The Master Numbers." There is an inner struggle between practical, down to earth 4, and spiritual 7. Once balance has been achieved, it is a prophet and counselor extraordinaire. It is a visionary and a planner. It is sometimes lost in unrealistic dreams. See 13. It is a caretaker that makes effort for others. It is a problem-solver. It wants to be a hero and a friend to everyone. It is a high octave 5. It is extremely freedom-loving and versatile. It is open to new ideas and is willing to take a chance. It sometimes has sexual hang-ups. See 15. It is more independent and aggressive. See 25. It is more sensitive, intuitive, and creative. See 35. It is more verbal, creative, and business-oriented. See 45. It is less organized and disciplined. It has a difficult time finishing projects. It tends to be a dreamer. It is very idealistic. It is extremely freedom-loving and likes to travel. It is social but can also be selfish and lonely. It represents success for anyone in sales. This is a difficult combination that represents extreme sensitivity and the need to balance a desire for freedom with an equally strong desire to be part of a family. Also see 11, "The Master Numbers." It represents intelligence and inventiveness. It brings wisdom in the later part of life. It is very creative and unconventional. This number shows a willingness to work hard and is usually successful. It recognizes opportunities and can make quick decisions. It is somewhat dogmatic and opinionated. It is very persuasive and convincing. It is often found in the charts of successful lawyers and fundraisers. It brings an uncanny ability to be comfortable with people of all walks of life and diverse cultures. It is loving, caring, and responsible. It sometimes brings subservience. This is a number that represents difficulties in love relationships. However, the need for family and friends is strong. It is demanding and secretive; an excellent number for researchers, law officers, and people in the Secret Service. See 26. This number is less sensitive. It is an excellent caretaker. A good number for people with careers in the medical field. See 36. It is less outgoing. However, it can be sexually promiscuous. See 46. It is less organized and more creative. See 56. The need to balance freedom and domestic affairs (commitment) is even more important here. This number sometimes brings a criminal tendency. Generous to a fault, this number brings financial ups and downs. It is extremely loyal and loving. Often successful in spite of itself. This number merges analytical intelligence and creativity. Inventors and mathematicians often have this number prominent in their chart, often behind a core number. It is good for business. It has a tendency to be insensitive, but it is also very loyal. It has a great sense of humor. Few numbers are as responsible and self-sacrificing as the number 69. Political activists and environmentalists often have this number, as do doctors, nurses, and teachers. It is also extremely creative. This is the hermit's number. It is a loner and a seeker of truth who can get caught up in the act of seeking knowledge to such an extent that it loses touch with the material world. It has high intelligence and originality. It is always eccentric. See 17. It is less authoritative and is often a loner. See 27. It tends to be an excellent conversationalist and it is usually a voracious reader. See 37. It is independent and likes to work alone. It is demanding in relationships. See 47 and 11, "The Master Numbers." It brings premonitions and intense dreams. This number can bring eating disorders. See 57. It is more analytical and less creative. See 67. This is an excellent number for anyone involved in management or organization. It can turn ideas into reality. Sometimes this number brings dogmatism and religious fanaticism. The 77 is highly intelligent and almost always spiritual, but it doesn’t take anything for granted. Skeptical by nature, the 77 may be found in spiritual retreats or libraries, but not usually in houses of worship belonging to any organized religion. With age, this number brings uncommon wisdom. The secondary number behind 77 is 14, adding individuality and independence, as well as a stubborn streak. The cardinal number to which 77 reduces is 5, and that is its most essential personality; a love of freedom and adventure, the 5 is flexible, adaptable, and tolerant. You can read an in-depth description of the 5 here. This number brings struggle between the spiritual and the material. People with this number prominent in their chart make and lose fortunes. Political and spiritual leaders often have this number. It brings concern for mankind, but it can also be ruthless and self-righteous. This is a good number for business. However, it is found more often among people in top management and the military, than among entrepreneurs, due to a lack of independence. It is an extravert number. See 18. It is more money-oriented. It often lacks spiritual understanding. Sometimes, this number brings violence. See 28. This is a number that brings strong leadership and courage. It is the survivor. this number can bring a lack of stability in marriage. Many people with this number prominent in the chart either never get married or get married many times. See 38. It is more business-oriented and less sensitive and vulnerable. See 48. It is more the visionary and less the organizer. See 58. It is more masculine, and it can be bullish. See 68. This number is more self-oriented. It is also somewhat irresponsible and self-indulgent. See 78. This number is somewhat more practical and handles money better, but the struggle between the spiritual and the material is just as intense. This number is full of contradictions. It is excellent for business, but it is not good for relationships. It is insensitive. This number represents the aristocrat and the man or the woman of the world. It brings much travel. This number can make it difficult for a person to be alone, even for a short period of time. It is self-sacrificing and humble. This number often brings religious fervor, but almost always of a positive and inspiring nature. People with this number in the chart tend to be aloof yet loved and respected by many. This is a combination that brings success in career, particularly in the creative fields, but it is unable to handle money. It is eccentric and opinionated. See 11, "The Master Numbers." This number brings great concern for mankind. See 39. It is creative, particularly in architecture and landscaping. It has difficulty with commitment. See 49. It is the practical humanitarian. It is not comfortable with travel, and dislikes changes. See 59. It is the humanitarian, but is impractical, a dreamer. It loves travel and change. See 69. Its self-sacrificing and loving nature is more focused on family, friends, and the community. See 79. It is more sensitive. It is a quiet worker and loves to read. See 89. It is an idealist but comes across as indifferent. It has a hard time showing emotions. A person with this number prominent in his or her chart is not easily understood by others. It represents artistic genius. A person with this number is often misunderstood and is frequently the victim of gossip. It can bring jealousy and possessiveness to relationships.